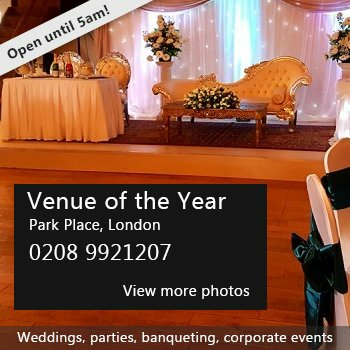 Ideal for wedding receptions, parties, christenings and other large functions and gatherings. Availability: Hall is available Friday after 6pm, all day Saturday and Sunday 9am until 2am. Hall is available some public holidays . Hire Costs: £150 per hour; security deposit of £250 Security deposit of £500 required for all day events. Full payment required 28 days prior to event Small halls available for smaller gatherings at a cheaper rate. Please call to discuss. There have been 0 reviews of Leopold GR Hall. Perhaps some of the following halls within 5 miles of Leopold GR Hall would also be of interest?